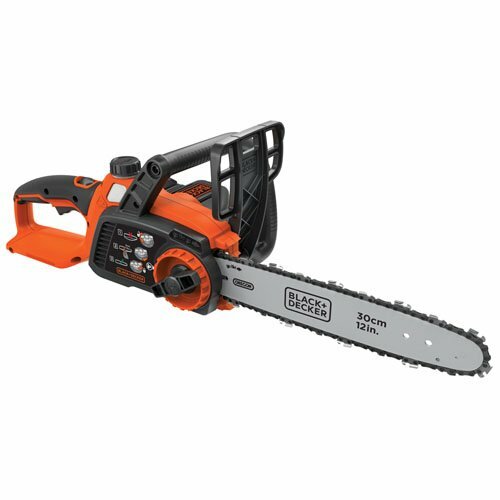 Style: Includes 40V Battery The Black & Decker LCS1240 12" 40V Cordless Chainsaw features a 40V MAXLithium Ion Battery for longer runtime and overall life - it stays charged upto 5x longer. It has a 12" Oregon low-kickback bar and chain which providessmooth and fast cuts. The tool-free chain tensioning allows for quick and easychain adjustments, and it also features a lightweight design for ease of useand maneuverability. The automatic oiling system ensures constant bar andchain lubrication, and the wrap around bale handle provides increased controland comfort.